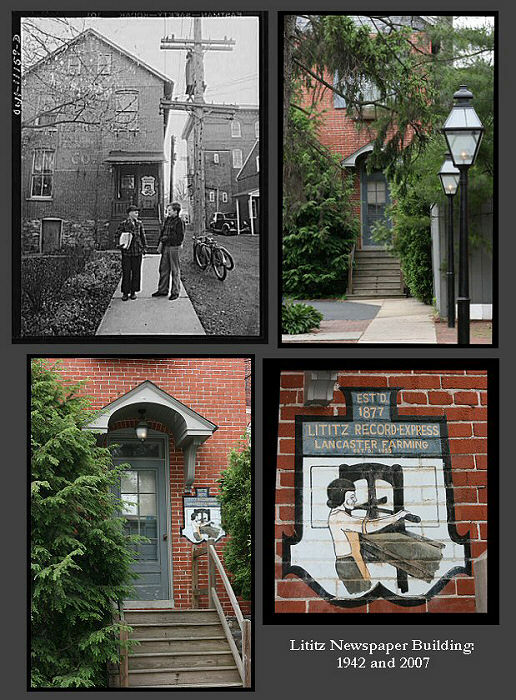 In 1942 photographer Marjory Collins used her camera to transform a small-town newspaper publisher into an icon of American photography, here in my hometown of Lititz. 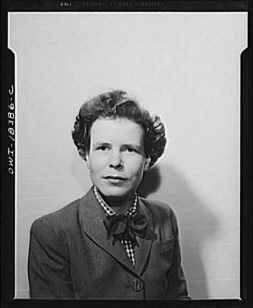 Marjory was a photographer with the Farm Security Administration. She was hired by the federal government to photograph rural America. 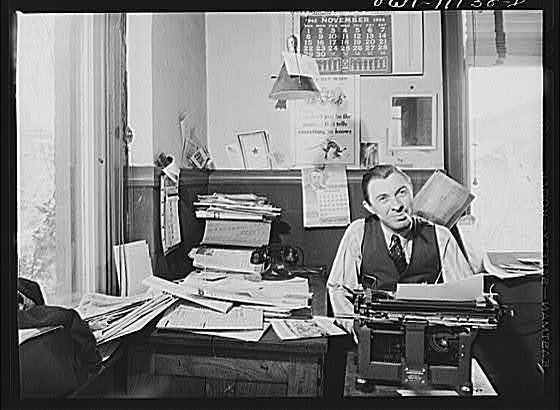 While another FSA photographer, Dorothea Lange, was becoming famous for her photographs of Dust Bowl migrants, FSA photographer Marjory Collins was creating her own fame by photographing unsung American workers such as Bill Young, publisher of the Lititz Record Express newspaper. Today (and forever?) 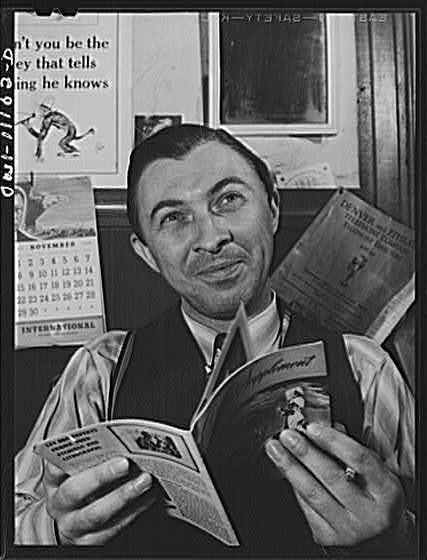 Marjory's photos of Bill Young's print shop are archived online at the Library of Congress photo archive, here. Above: The town of Lititz's most-famous, chain-smoking newspaper publisher, William Neiles Young (Bill Young). For 24 years Bill was the Lititz Record Express owner, reporter, editor, and printers' helper, from 1938 to 1962. 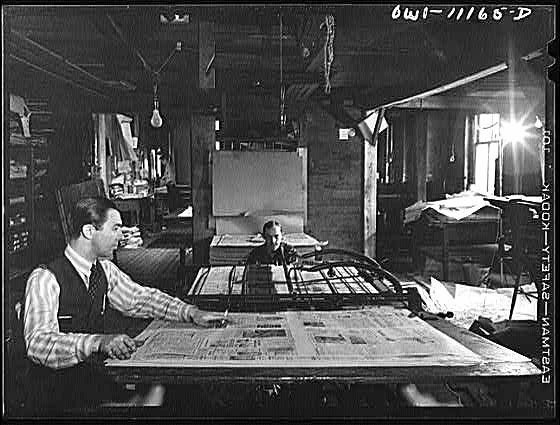 Above: Bill feeds the Lititz newspaper in his folding machine. 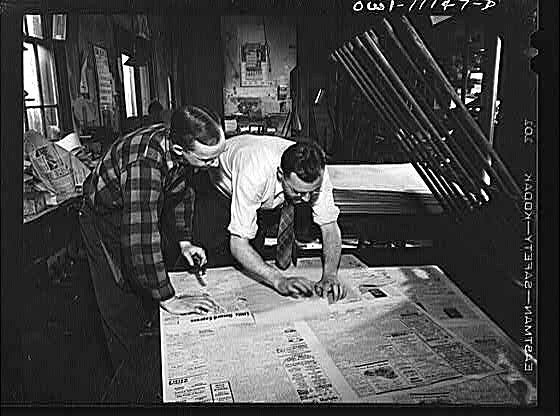 In 1942 Bill only had four employees, so he had to be a newspaper jack-of-all-trades. Above: Bill smiles for Marjory. Above: Bill waits for newspapers to come off the press, so he can take them to the folding machine. 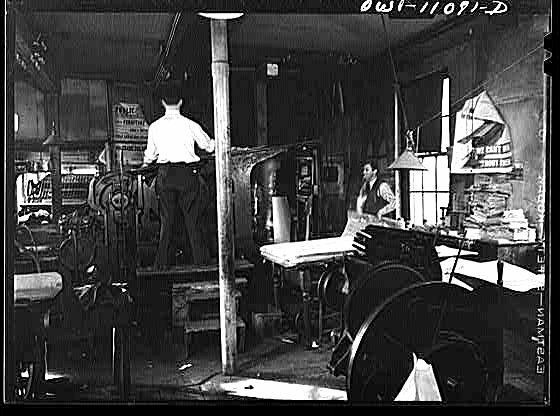 This shop also did job printing including "underwear labels and hunting signs," according to the Library of Congress photo archive, where these photos are archived, here. 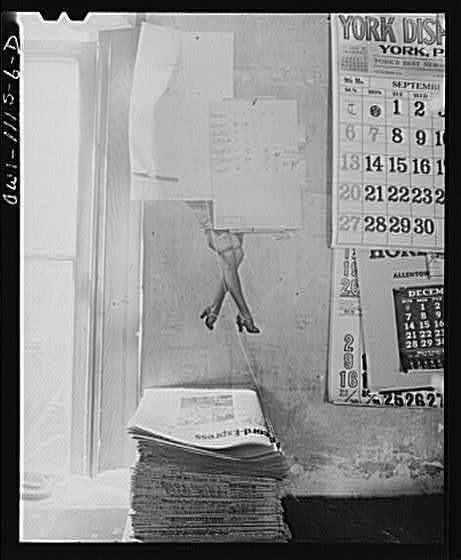 Above: Bill's newspaper office: Still-life with stockings. Above: Newsboys no longer deliver Lititz newspapers from the Record-Express Building. The newspaper recently relocated its office to Ephrata, another important epicenter of Lancaster County printing history, where the Lititz Record Express continues its legacy today. The newspaper is here. Above: Marjory Collins, the photographer who immortalized Bill Young and his Lititz newspaper in 1942.